I don’t know who borrowed from whom. And there are more paintings by Bonomi Edward Warren where he recycled that forest scene. I found the comparison in preraphaelitesisterhood.com. 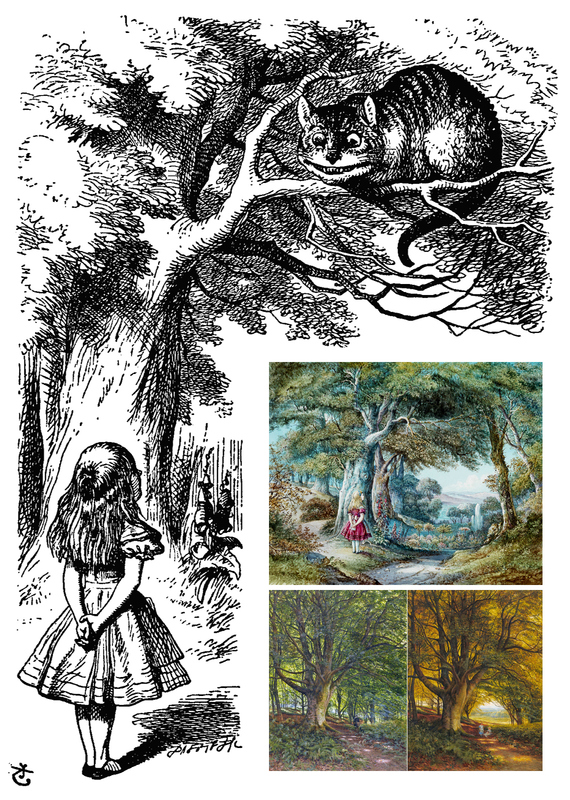 If it is a pictorial reference at all, it might be a nice pun by Tenniel, but not as challenging as Henry Holiday’s conundrums.